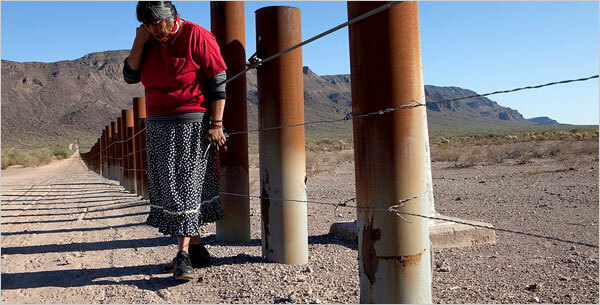 This border fence divides the Tohono O'odham community into two sides. Like, imagine your town cut in half with a fence. And some of your family live on one side, and some on the other. Your doctor lives on the other side, and you really need dialysis. It takes a long time to cross. Lots of checks. It used to take twenty minutes to visit your father on the other side. Now it takes five hours. You get arrested for trying to cross. Your spiritual leaders are arrested too. Your ancestors' remains are confiscated. A soldier holds a gun to your head and demands that you declare your allegiance to one side. This border should be erased. Your life is on both sides. In May 2012, activists, artists and youth erased this border. It was a symbolic action using our bodies to press against the fence. Now we need your help - we want to really erase the border. Will you add your voice? Copy this link to listen to your voice and share it with others. Note that your voice is being processed on the server for about the next two minutes. After that, the link will work perfectly. "Erase the Border. 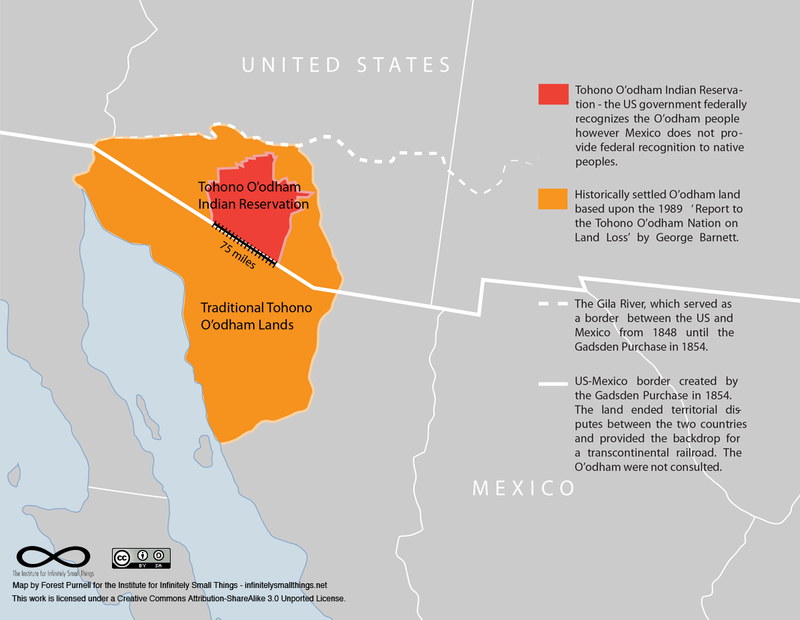 Make Tohono O'odham citizenship part of comprehensive immigration reform." Or tell a short story about the impact of the border on your community. You can call the Erase the Border hotline at (520) 812-5840. Just follow the prompts to record your voice. 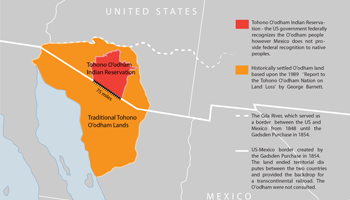 By signing the petition, you support putting Tohono O'odham citizenship back on the table (it was shelved in 2001) as part of comprehensive immigration reform. 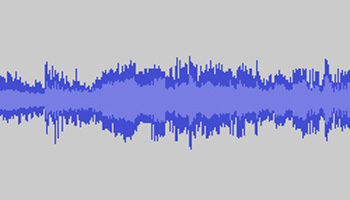 Your voices will be recorded together, remixed as songs, and sent to legislators. 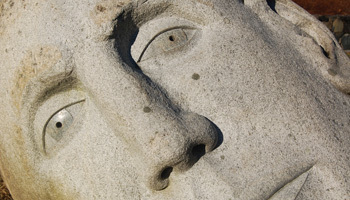 Read more about where your voice will go and how you can use this archive. Where does my voice go? We will deliver your voices to legislators who have the power to erase the border. We will call their phone lines and play your voices. We will mail them CDs with your voices compiled. We will stage listening parties on their steps. Click above to listen to a short remix of the Erase the Border petition by musician Dave Raymond. Want to make your own? Download the archive! Download our 114 voices. We are open source. We want you to come up with creative ways to put these voices to work. Remix them into a song, use them as a beat, host a listening party, call your legislator, play the archive outside a detention center. Share your work with us and we'll feature it here. In Drug War, Tribe Feels Invaded by Both Sides. By Erik Eckholm for the series War Without Borders. Above photo by Chris Hinkle for the New York Times. 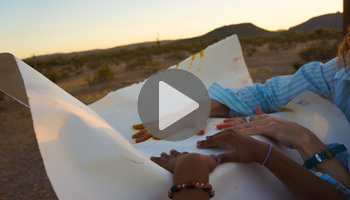 Artists Ofelia Rivas and Catherine D'Ignazio worked with Tohono O'odham youth on a symbolic action to erase the border fence by pressing and painting. This is a Zeega presentation - a multimedia presentation with sound and video that tells our story. 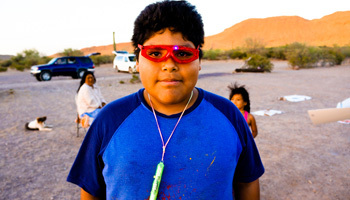 Erase the Border is a project by Catherine D'Ignazio and the Institute for Infinitely Small Things, Ofelia Rivas and O'odham Voice Against the Wall, and Tohono O'odham youth. Produced with the support of Artists in Context and the MIT Center for Civic Media. Powered with Vojo. Questions? Email dignazio AT mit DOT edu.